Is Renting an Apartment for You? Renting an apartment may get a bad rap, but they can be better than owning your own home! For years, the “American Dream” was to own a home, have a family, a good job, and to have some money left over to retire on. But is this the current American dream? Today, homeownership in America has seen a steady decline in millennials as well as in the older generations. Many people think it is simply a fear of a housing market crash like the one in 2007-2008 that has people wary of buying a home. But there are actually some other reasons people are choosing to rent over owning their house. 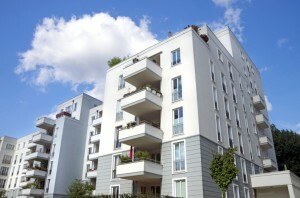 Let’s take a look at some advantages of renting an apartment. For many people, the most popular reason for renting an apartment is the affordability. Renting an apartment is commonly less expensive than buying a house. Although renting does not help you build home equity, renting is the most frugal option when compared to paying off a mortgage. The affordability of rent also gives people the opportunity to live alone or with a roommate while homeownership is often reserved for families or couples. Another reason to rent is the freedom it gives you. When you buy a home, you are responsible for its constant upkeep and travel is often hard if you need someone to look after the place. But when you are renting you have neighbors who can look after your apartment and your house plants and a landlord who will take care of everything else. If you do not like the apartment building you live in, there is always to option to move after your lease but you are stuck in your home until your mortgage is nearly paid off. Whether you have a clogged drain or a broken dishwasher, it is a major relief to be able to call your landlord or building manager to fix it for you. The labor and expenses of home maintenance and repairs are a major negative to owning a home. When you are a renter, these things become someone else’s problems to fix and that is a major bonus as a renter. There are many benefits to renting an apartment. From the affordability to the freedom, an apartment is the way to go if you want a nice place to live. So what are you waiting for? Make the choice and call Harborside Village Apartments today! This entry was posted on Monday, March 14th, 2016	at 7:56 pm	. Both comments and pings are currently closed.